Celebrate Earth Day at this historic and environmentally significant site on the Duwamish river. 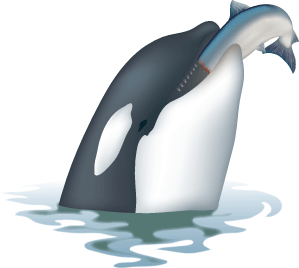 Learn about the connection between orcas, salmon and the river at this fair organized by the Duwamish River Coalition. Come for the cleanup, stay for the fair! Stop by Terminal 107 for the opening program or stay all day for family friendly activities and fun! When you’re done visiting the fair, cross the street to the Duwamish Longhouse to learn of the Duwamish Tribe’s history and culture. Note: The Whale Trail won’t be able to participate this year. We’ll be there in spirit! Visit www.DuwamishAlive.org to volunteer for the cleanup, or learn more about the event. Duwamish Alive! is a watershed wide effort in improving the health of our salmon by restoring their habitat which provides food, shelter and cool, clean water that salmon need. Starting at 10:00 am volunteers will be restoring native habitat on Saturday, April 20th in multiple urban parks and open spaces from Seattle to Auburn in the ongoing effort to keep our river alive and healthy for our communities, salmon and the Puget Sound. Duwamish Alive! is a collaborative stewardship effort of conservation groups, businesses, and government entities, recognizing that our collective efforts are needed to make lasting, positive improvements in the health and vitality of the Green-Duwamish Watershed. Twice a year these events organize hundreds of volunteers to work at multiple sites in the river’s watershed, connecting the efforts of communities from Auburn to Seattle.